There's a very good chance that when Dark Phoenix arrives in a couple of months it'll be the last time we see that cast in an X-Men film. With the merry mutants now firmly under the umbrella of Disney and Marvel Studios, the likelihood is that we could see a complete recasting for future movies. But that has yet to be confirmed and for now everybody is still in place, although that does not sit well with star Alexandra Shipp, who plays Storm. During a panel at WonderCon, Shipp expressed unhappiness that the X-Men are now part of the MCU and the reason why is simple: she's probably going to have less lines. First of all, what did Sasquatch ever do to anybody? Second, she probably won't have to worry about being lost in the shuffle because there won't be a shuffle for her to get lost in. I'm sure Kevin Feige will want to reboot the X-Men and do things his way. If for some reason Shipp continues in the role, a possibility given her young age and newness to the role, she has a definite idea about what Storm should and shouldn't be doing. Shipp certainly doesn't want to see Storm get together with Black Panther, which some fans may want to see. Storm and Black Panther have a long history together (because Marvel tends to lump black characters together, just sayin') and eventually were married. I don't blame her for being pissed. 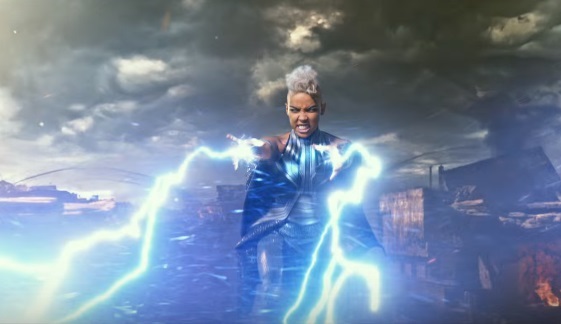 Storm had a big debut in X-Men Apocalypse but didn't factor into the story all that much. She's barely been part of the marketing for Dark Phoenix and clearly isn't going to have much a role based on her comments.